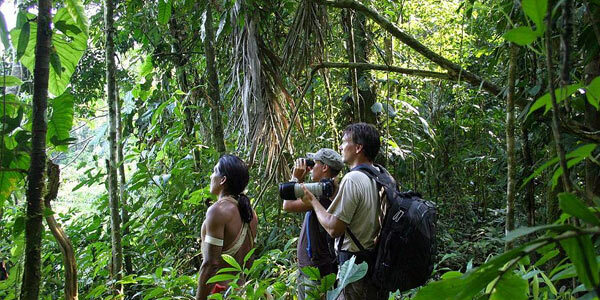 Explore the deepest Amazon at Kapawi Lodge . . . 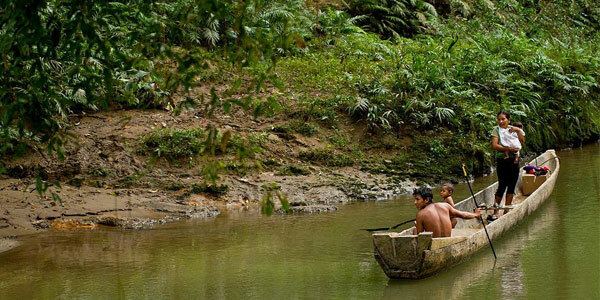 The ecolodge and reserve at Kapawi is managed by the Achuar community themselves. A series of comfortable cabins receive international visitors who have flown for half an hour over pristine jungle to get there. The lodge is situated on the edge of a lagoon that is teeming with wildlife, and you will sleep with the sounds of the insects, birds and animals of the Amazon jungle ringing in your ears. A solar charging system is backed up by a generator to provide electricity. But artificial light is not encouraged after dark to avoid changing the habits of the animals that live around the lodge. .
"I´ve had the chances to be in the Jungle for many times in different hotels but this one makes you feel that you are really lost in the Jungle :) since you take a small plane in Shell and after 30 minutes flying above the amazinjg and green forest with the Pastaza river like a huge snake going trought the forest is the first and most amazing experience you can imagine! and then have the first touch with the community at landing is so amazing!" The Achuar are an indigenous people of the Amazon Basin who have inhabited the tropical rainforest for thousands of years, and possess a rich body of knowledge about their local environment. They are also experts in land use and resource management which has allowed both people and ecosystems to survive in balance. The rainforest is the Achuars’ nourishing mother, and within this living web of forest trails, streams and rivers, they know virtually every plant, tree and animal. Here, they fish, hunt, and grow their crops as they have always done. An Achuar is a living encyclopedia that can recognize each of the myriad of birds and animals with which he shares the forest. He knows every plant and tree, and can explain their medical uses. 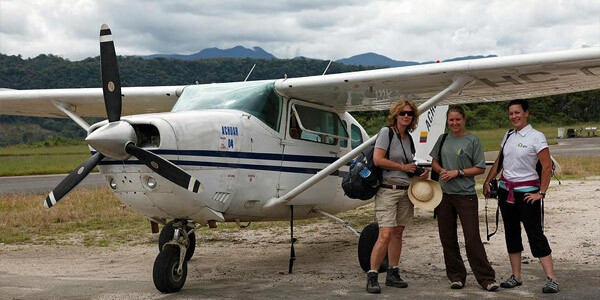 That is why both an Achuar guide and a formally trained naturalist interpreter accompany you on your exploration of the natural environment around Kapawi.
. Visit the lodge's website.